Where is your money going? | Your Life Security, L.L.C. No, we don’t mean what you are spending on a daily basis but, who is the beneficiary of your assets when you pass? In Illinois, the State Treasurer is holding 2.9 billion dollars in unclaimed funds for Illinoisans. The State holds these “lost” funds until they are claimed by either the original owner or their heirs. Common types of unclaimed property include: checking and savings accounts, uncashed stock dividends and certificates, insurance payments, uncashed death benefit checks and life insurance proceeds. Your family cannot get access to your accounts because they are stored on a computer that is lost, stolen or password or fingerprint protected. In addition to storing information on a personal computer or smart phone, keep a hard copy store in a safe, accessible location so your family can find it. There are no named beneficiaries for all your financial accounts. If there is not a primary and secondary beneficiary on all assets, the accounts roll to the estate and then go through probate. In addition to insurance policies, other financial assets that allow you to name a beneficiary could be pension or retirement plans, (401(k), TSA, IRA), stock brokerage accounts, money market funds and mutual funds. The beneficiaries are “outdated”. 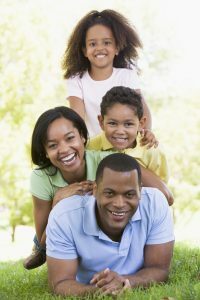 If there is an ex-spouse or relatives named before you had children of your own, they may try to sue, saying the intent was for the money to go to their family. And then there is a scenario when a beneficiary dies before you. The only way to be sure everything is established according to your wishes is to look at all your assets and see if you have named a beneficiary on all assets you are allowed to provide, the beneficiary knows what they are named on, and your family knows all about it. Once you have passed on, you can’t tell your family about all your assets, such as what they are and where they are located. The only sure way to avoid unclaimed assets going to the State is by making sure that all your assets are properly set up with a beneficiary of your choice. The only sure way to avoid the State claiming these assets or avoiding probate is to review and update your beneficiaries and have someone who knows where it all is. We can first provide you with a specially designed worksheet assisting you in identifying and recording all your assets and passwords to key accounts. Once the worksheet is complete, we will sit down, review, and safely identify a location for these important documents easily accessible to your family or beneficiaries. For your “benefit” and “Your Life Security”, we provide this service free to all our clients. Call today for your appointment.